GoodWorkLabs is one of the leading technology firms for creating world class Augmented Reality applications for different industries. Right from gaming to educational, medical applications and marketing campaigns, AR can transform the ways in which a user interacts with your products. GoodWorkLabs is prepped up with the necessary technological supremacy and experience to provide you with a cutting edge AR experience. Augmented Reality is one such technology that has enabled us to keep a strong foothold among our competitors. Our AR products and applications are unique, innovative and result oriented as with all our other services. How can Augmented Reality transform your business? Augmented Reality can be a game changer for your business. From customer engagement to skill training of the workforce, AR can transform the existing tedious methods. Every big player has employed Augmented Reality in their strategies and we at GoodWorkLabs, can help you do the same. Our knowledge of AR can help you come up with unique marketing applications, state of the art educational applications and tools to train your work-force as well. The potential is huge and the limitations are minimal. With our assistance, you could be looking at the next big product to disrupt the market. Augmented Reality is going to change how we perceive things. Many brands have come up with innovative marketing campaigns by imbibing figments of AR. These marketing campaigns have been hugely successful thanks to the ‘wow’ factor involved with AR. We understand the vast applications of this new technological miracle. Our experience in the particular field allows us to imbibe the same in your business models. 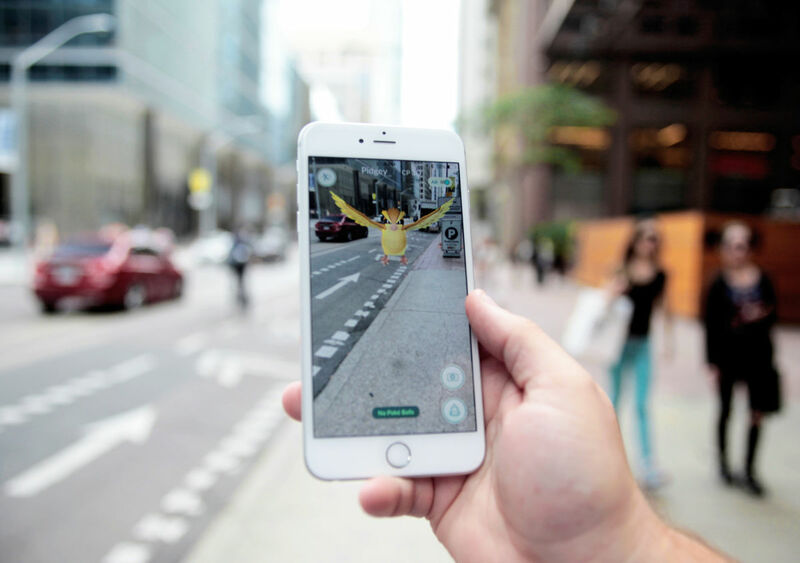 Augmented Reality is set to disrupt the market with its application in the coming few years and with our understanding and skill set, you can expect to grow exponentially as well. If you do not implement it today, you will surely be lacking behind in your industry in the near future. As one of the leading tech firms in India with a huge knowledge base of existing technologies, we have time and again proven our worth to clients by delivering cutting edge products. Our products are result oriented and tailored specifically to the client’s requirements. With Augmented Reality, we are all set to take it a step further and position your business in the spotlight. 1. Digital Marketing: Digital Marketing of your product via ground-breaking Augmented Reality tools will ensure bigger market share. We have recognized AR as an enhanced marketing application that customers can engage with at home, in store, or on the go. Services such as augmented packaging, on street marketing, geolocalized apps, and interactive consumer products will change the marketing trends. We can help you build applications that will allow all such features to be utilized wholesomely in your marketing campaigns. 2. Education: Educational resources are magnified by Augmented Reality systems and can be used to recreate events or transform books into 3D images all superimposed in real-time. Augmented Reality is very assertive for educators in classroom settings and helps students gain a deeper understanding on the topic. By overlapping content to media, the reading experience is made much more interactive in nature. Only skilled technicians can catapult growth by using these features and GoodWorkLabs is fully equipped in doing so by using their talented bunch of AR experts. 3. Mapping: Geo-location and its real time display of enhanced maps can change how we navigate. Augmented Reality can provide classified and suggestive information to the user such as nearby restaurants, bars, grocery stores, and fashion outlets. A simple tap on the camera screen can channel in tremendous amounts of user based information. If you are looking forward to implementing such sophisticated features in your applications, we are the right company for the job. Do not underestimate the power that Augmented Reality beholds in itself. Along with Virtual Reality, it can change the way our businesses are run entirely. Contact us today and let us explain how AR can build the future of your company!